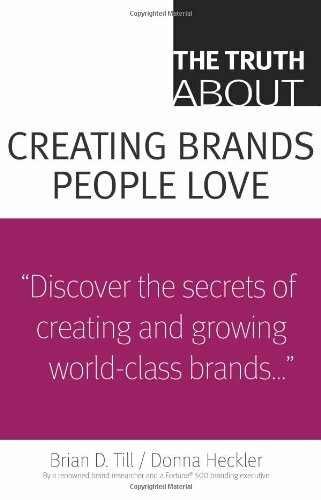 Order ‘The Truth About Creating Brands People Love” by Brian Till and Donna Heckler from Amazon.com by clicking the book cover above! If ever there was an era that put demands on marketing, this is it. Differentiating your brand from your competitor’s is so important at a time when jobs and stock prices are vanishing overnight. If you’re selling a product or service, you want the best possible minds at work on the task of survivor first, growth second. And when it comes to your category, you want to be first in the minds of many. As luck would have it, I have two of the best available marketing minds on the show today. For the next 30 or 40 minutes, Brian Till and Donna Heckler, co-authors of the new book, The Truth About Creating Brands People Love, are here to talk about what it takes to succeed in today’s whipsaw marketplace. Brian is the Steber Professor and department chair for marketing at Saint Louis University. Donna is the brand strategy lead for Monsanto.